The second mapping of the Way of St. Benedict – OpenUpRoutes! After several months, planning another survey of unknown territories is never a simple matter; in addition, things get even more complicated because of the disastrous earthquake that hit an area like Umbria on 30th August, 2016. Going there to promote a sustainable tourism for all in a place that it is still trying hard to get back to its feet and resume a normal life, it required a great sensibility and ability to keep the right distance from this issue aimed at stimulating reconstruction on a universal basis. Last May, mapping of the section not yet surveyed from Norcia to Rieti was thus planned. It was also an opportunity to get once again in touch with various accommodations and services that did not react to the project in the early stage. On the way to Norcia, we received an invitation from Professor Paolo Caucci to visit him in Perugia at the Confraternity of St. James where the Centro italiano Studi Compostellani (Italian Research Institute for Jacobean Studies) is based. Here, we have been welcomed with open arms. 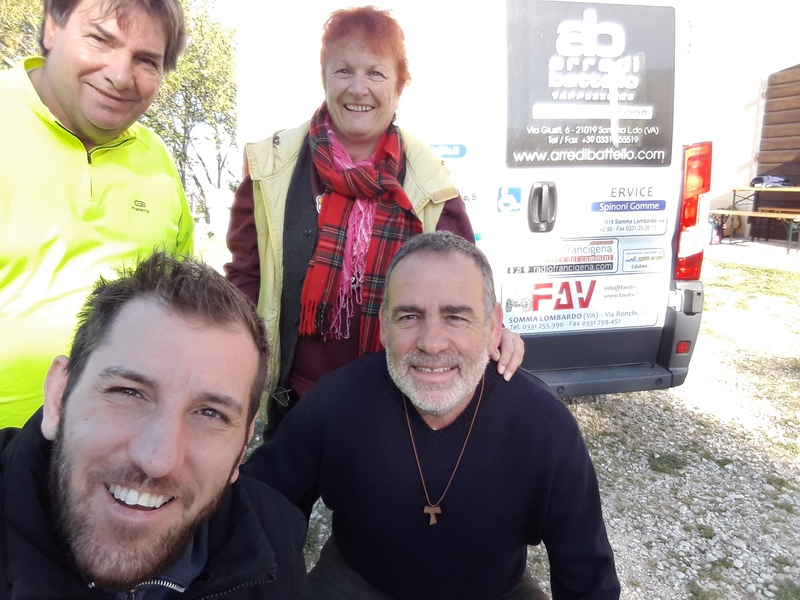 The Confraternity supported the project “Santiago per Tutti” (Santiago for All) and follows with great interest the activities brought forward by Free Wheels on the routes of pilgrimage. Last February, during the second meeting with the partners of the SA.BE.R project held in Santiago de Compostela, we met Professor Caucci for the first time in a gloomy night in the street behind the Cathedral. When we arrived at Norcia, we became aware that the media told just a small portion of a reality in a region that is trying to get back to its feet with an unparalleled dignity despite all it went through. 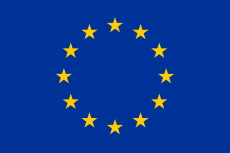 We trust that our governing bodies will react promptly to this situation. From Rieti onward, the number of small towns and villages is much higher that the number of accommodations found; on the contrary, from Norcia to Rieti, i.e. five legs only, it totals approx. 40% of all accommodations present on the entire Way. Nevertheless, the criteria of accessibility are not met everywhere. 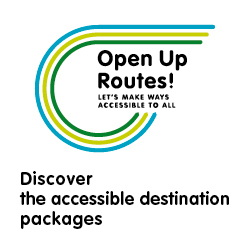 In several towns and villages, there are no facilities suitable for hosting people with reduced mobility or with sensorial impairment, as it occurs on the most part of this route. However, some owners of accommodations, bars and restaurants have shown their willingness to comply with standards of accessibility. At Mandela, we met with Marzia, the owner of Febinn B&B who fully refurbished her facility to welcome all people in the best way. At Cascia, there are many accommodations that are aware that also disabled people can experience a pilgrimage and/or cultural route, i.e. for example Hotel La Corte. In the same way, the services available in this first part of the Way have increased the average of accessibility, from 52% to 57%. The number pf restaurants, bars and places of worship accessible to people with reduced mobility have grown, as well as tourism services for people with special needs. This result might well be related to an increased sensibility by the local administrations. In conclusion, we can tell that towns and villages in Umbria located on the Way of San Benedict are more proactive towards a universal policy of accessibility; this makes a steady growing itinerary more consistent with the relevant criteria to become soon a ruote for all, as it already occurs at a higher level on the Way of St. James.